Chicago Photography by Monique Simone Photography On my last trip to Chicago I had the pleasure of staying at the Fairmont Millennium Park. The centrally located hotel offers guest the opportunity to sleep in luxury, in the center of the windy city. 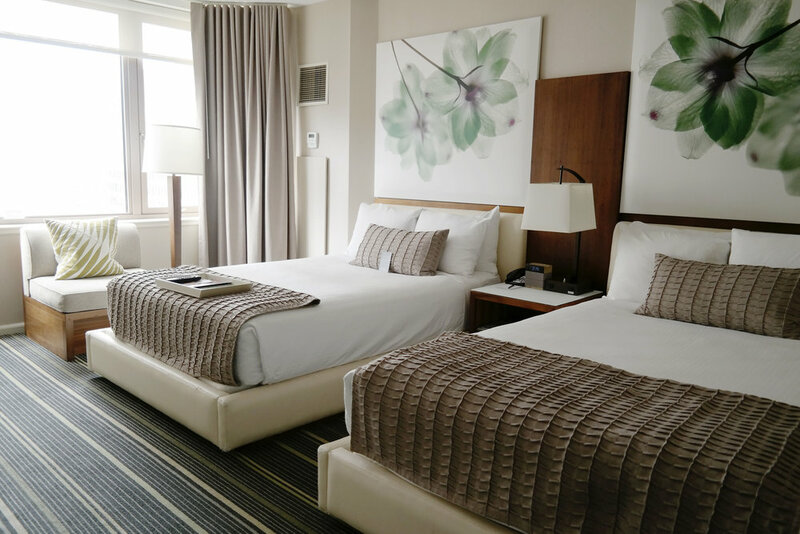 Steps from Millennium Park, the River Walk, Lake Michigan a metro strop and a few minutes to the center of the downtown loop - shopping, restaurants, and bars - the location of this hotel will make your next stay stress free. The rooms are perfect, clean and newly renovated. When I checked in I was welcomed with bubbly and a signature chocolate art piece from the hotel. Having stayed at a few Fairmont locations in the past, their team was always welcomed me with signature chocolate art to represent the city. I LOVE this about my stays. It has always blown me away each time. Check out my chocolate pieces from Dallas and Pittsburgh on previous posts! I'm not going to lie to anyone, chocolate is a weakness of mine so this steals my heart… and yes I usually eat them. When traveling all day and exploring the city, every time I return back to my hotel to change for dinner it is the perfect pick me up. What an amazing touch! I woke up every morning on my stay and ran to the Navy Pier at Lake Michigan. If it hadn’t been so beautiful out, the hotel also offers an array of free classes at their fitness center, from dance to spin (of course faves of mine) that I would have loved to try. I was able to try out the spa however and it was outstanding with plenty of services. Treating yourself while traveling, business, pleasure or other is always on my to do list. I had an amazing massage, but was equally wowed by the amenities and beautiful touches. Blue and white newly finished showers with beautifully lit changing rooms were a perfect after treatment experience. The hotel also offers spectacular view of the water and Millennium Park from their Fairmont Gold Lounge. There you can have a beautiful breakfast or a 5-7 glass of wine and enjoy the scenery. The center lobby, wine bar called The Bar has an array of wine and spirits throughout the day and night. If you’re heading out to explore or eat (and didn’t check out my Chicago blog posts) ask the staff on hand! I can never get over the helpfulness and expertise of the concierge and staff at Fairmont locations. They know it all and more and are beyond willing to help you make a reservation. The newly opened Columbus Tap on the ground floor of the hotel has an array of beers along with their custom brew called “When Life Gives You Kumquats” that pleases the senses with a flavor both light and refreshing. One of my favourite parts, they also have a dining room restaurant that can be rented out for private events. It acts as a restaurant environment, housing almost 100 so odd people, with a private kitchen and pizza oven to cook for guests. Great for showers or engagements… my mind went wild with thoughts of party planning! My stay at the Fairmont Millennium Park was nothing short of a perfect getaway. Thank you to their team for the amazing experience. A must check out luxury hotel in the heart of downtown Chicago. And of course, some Fairmont bathroom selfies.